Do you know anyone who juices their citrus often? 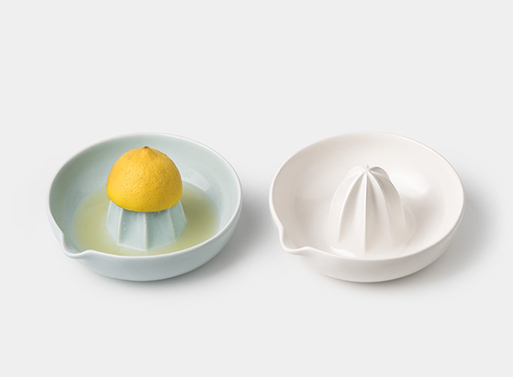 Because they just may like this special ceramic juicer bowl handcrafted by Gidon Bing, a sculptor/ceramicist based in Auckland, New Zealand. It’ll fit smaller citrus like limes and the biggest of grapefruits. Available in satin white and satin eggshell blue. Dimensions: ø14.5 cm × H7 cm | ø5.7 in. × H2.75 in. Available from Ode to Things, $55.00.